Are you thinking of visiting a North Alta Ave dental care office for some Upland dentures? 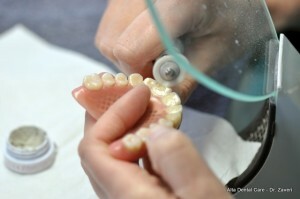 Dentures are prosthetics may be fixed or removable, depending on a lot of things: your personal preference, your budget and your existing oral condition. – Aesthetics: You need your teeth to smile and to face people. A toothless grin may not be so bad, but surely on does not want to sport that kind of smile A smile can brighten one’s face and make a true difference to one’s look, so making an effort to fix it is going to be worth it. It does not matter if you are a celebrity, relying on your looks to earn; or a lowly individual, wanting to flash a smile with a complete set of teeth. 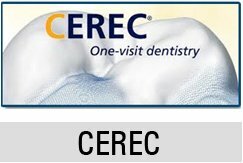 – Speech: Your speech, although not entirely dependent on the teeth, needs it in order to form certain sounds. There are specific sounds that are only formed when the teeth contact with the tongue or the lips, so it is important that lost teeth be replaced immediately, so as not to compromise speech. – Mastication: The teeth are very important for nourishment. The anterior teeth functions to cut and slice into the food and the posterior teeth functions to grind and break the food further, into particles that are easily assimilated by the body. Without the teeth, a person is very limited in terms of which food he can have and enjoy. A complete set of teeth gives you the opportunity to eat all kinds of food, soft or hard, so that you may properly nourish your body with whatever is necessary for your well-being. By getting a set of Upland dentures, you restore your mouth’s ability to process food in the mouth, gives you the right to enjoy your meals and your life. – TMJ Health: The TMJ or the temporomandubular joints are the structures found on either side of the face that holds the jaws together. While they are basically support themselves, their stability is held by the person’s bite. When one loses a tooth or a few teeth the jaw may collapse to follow the changes in the mouth, leading to TMJ disorders than can cause great pain and discomfort. – Facial Integrity: Related to the previous number, when the tooth is lost, changes occur in the mouth and among these include the drifting of the teeth, their supraeruption and so forth. When this happens, the bite collapses and along with the muscles of the face as well as the skin will begin to sag, lose its integrity and make the person look so much older than they really are. You have probably seen old people without teeth, with their saggy cheeks and wrinkled faces; the loss of facial integrity is an unfortunate consequence you may want to avoid. – Confidence and Self-Esteem: Not a lot of people will think of this, but this is a very important benefit that you can enjoy from your Upland dentures. 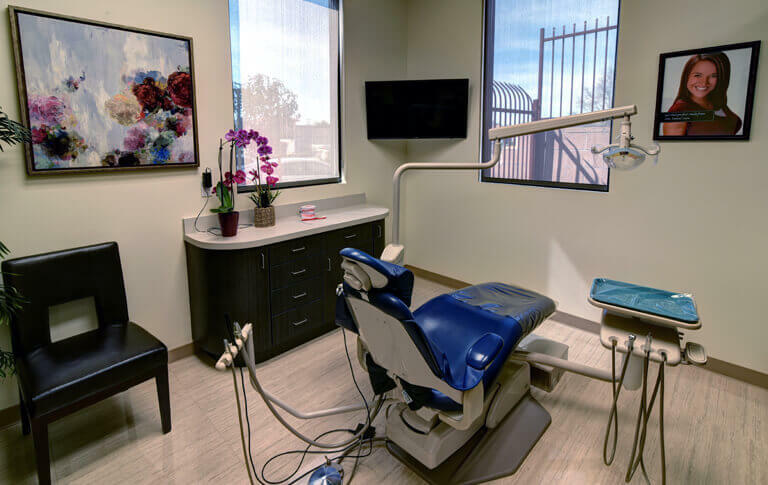 Many North Ave dental care professionals attend to patients whose main concern for getting dentures is so that they could feel good about themselves. When you look good, you almost automatically feel good about yourself, and everything else follows. Self-confidence is an invisible fuel that keeps you going and recharges your spirit to attain things that your normally cannot do; so when a set of dentures can offer this much, does it not justify your expense?